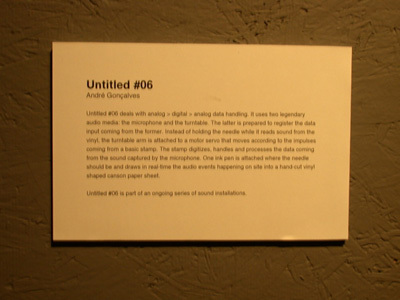 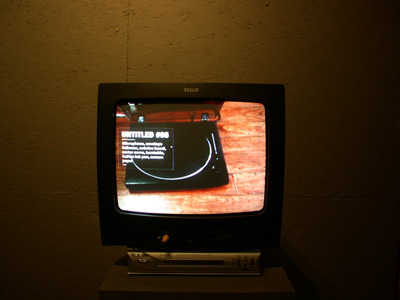 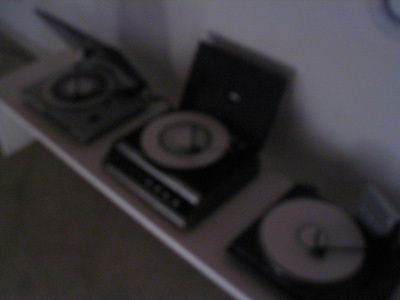 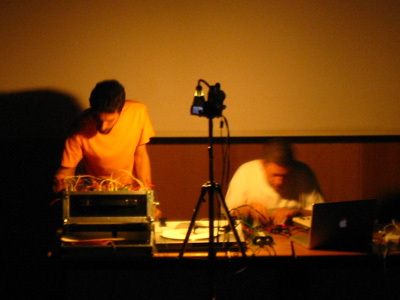 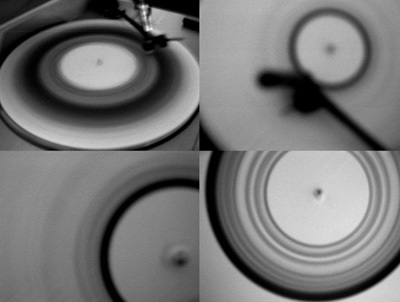 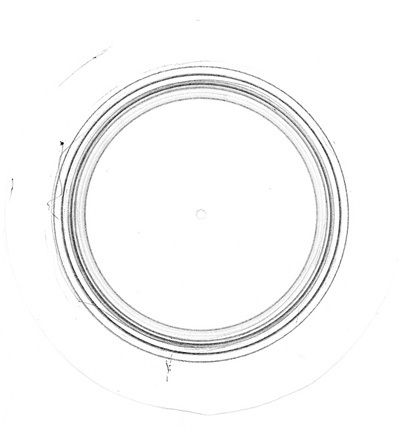 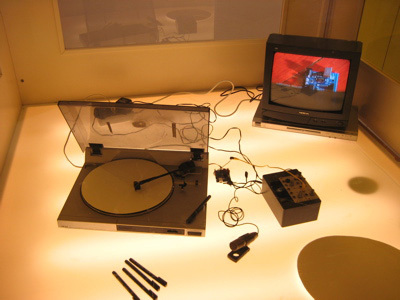 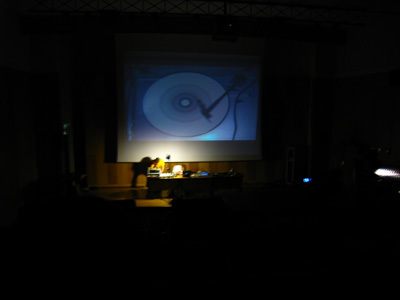 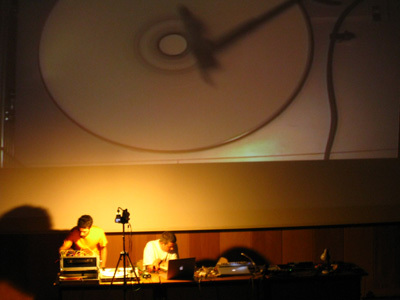 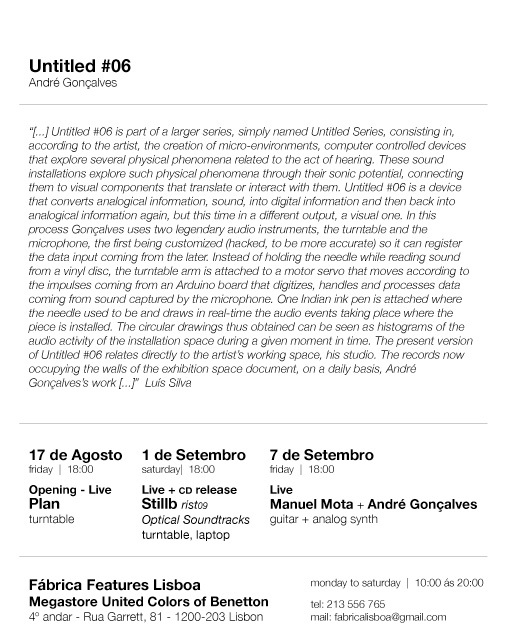 Untitled #06 deals with analog>digital>analog data handling, it uses two legendary audio mediums, the microphone and the turntable, the later is prepared to register the data input coming from the first. 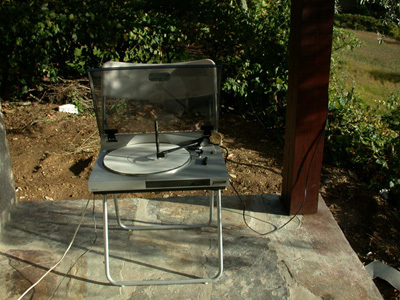 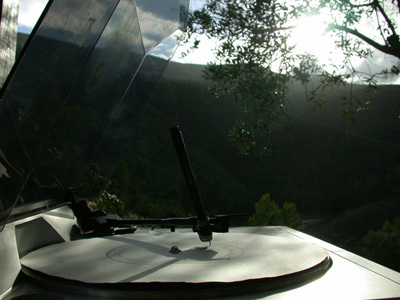 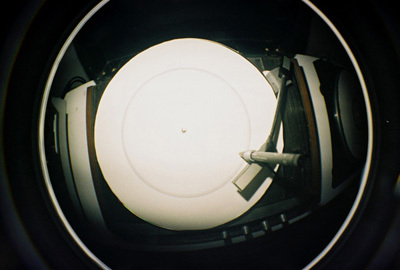 Instead of holding the needle while it reads sound from the vinil, the turntable arm is attached to a motor servo that moves according to the impulses coming from a basic stamp which digitizes, handles and processes the data coming from the sound captured by the microphone. 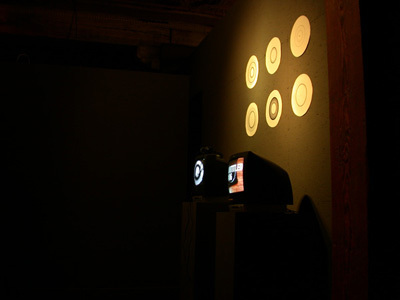 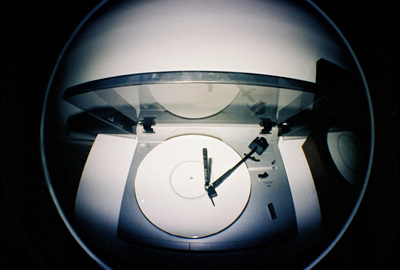 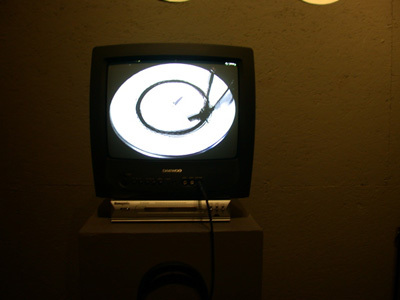 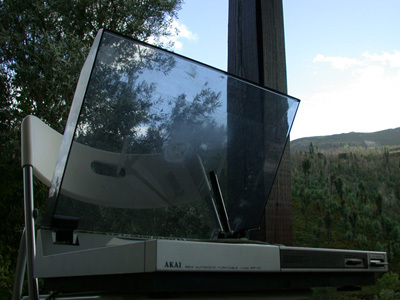 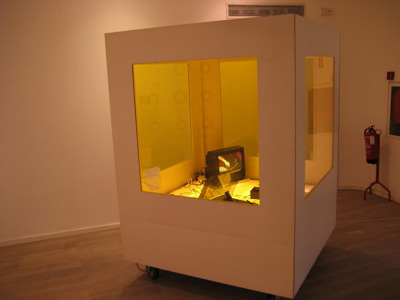 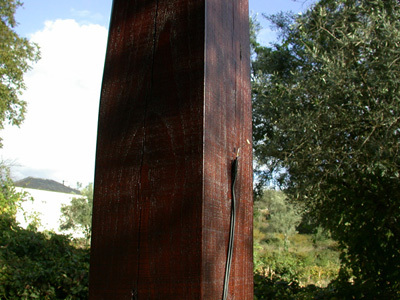 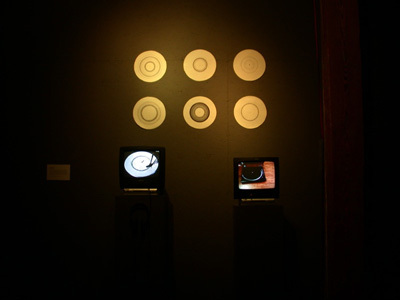 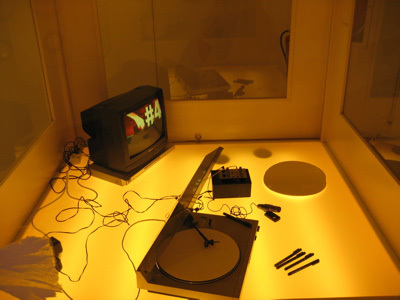 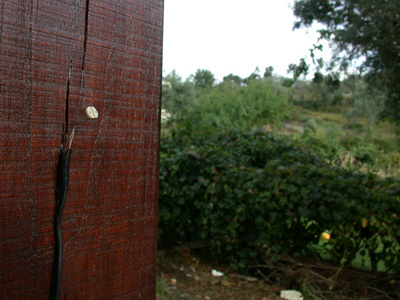 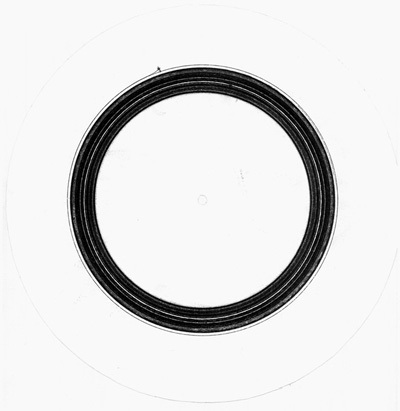 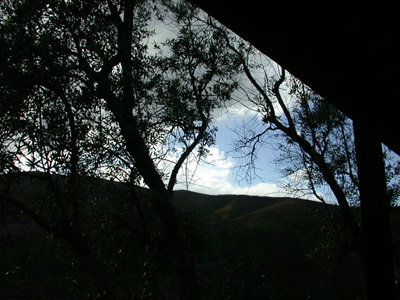 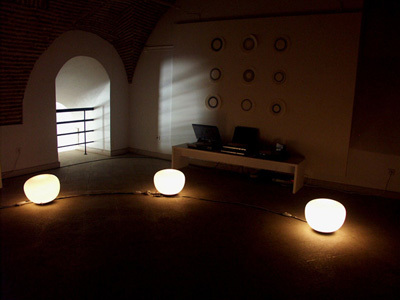 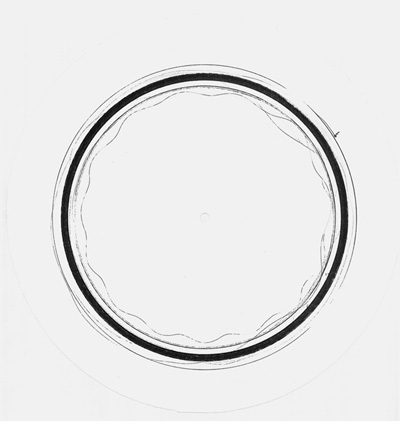 One indian ink pen is attached where the needle should be and draws in real-time the audio events happening in the site-specific where it is installed into a hand cutted vinil shaped canson paper sheet. 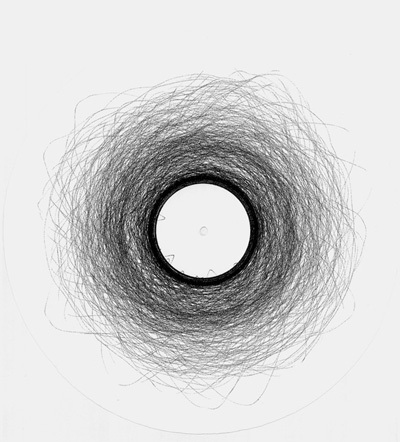 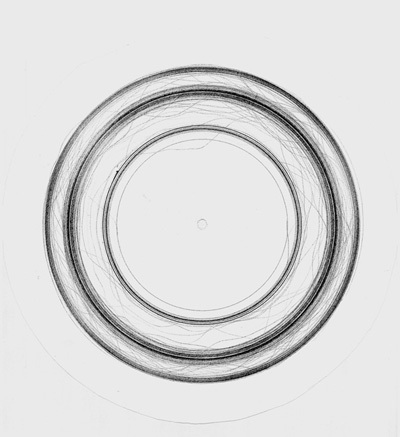 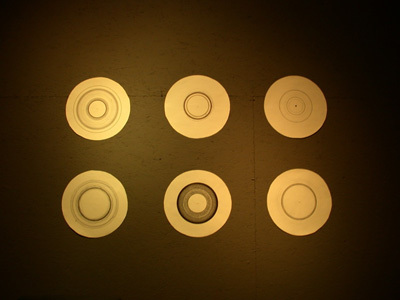 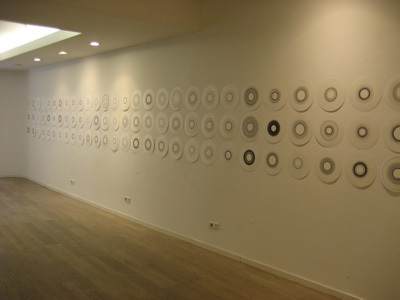 These resultant drawings can be seen as histograms of the audio activity of a space during a certain period of time. 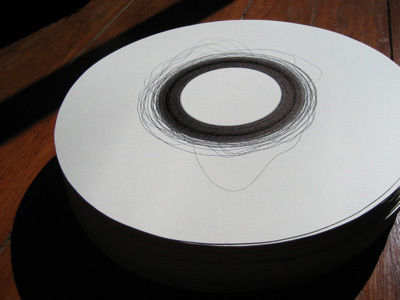 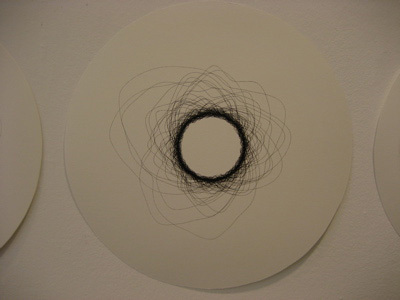 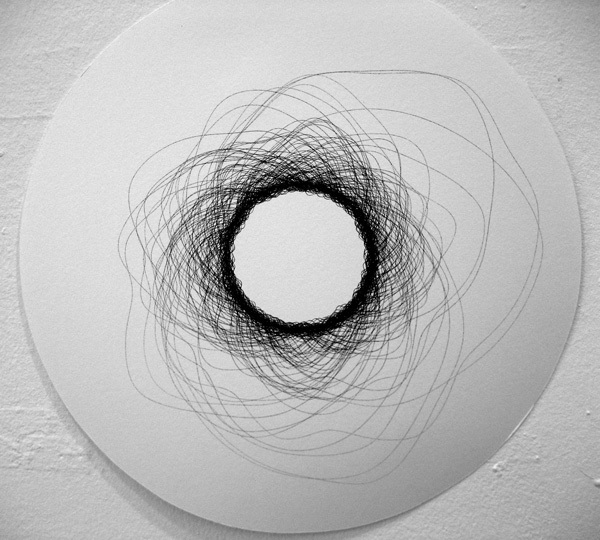 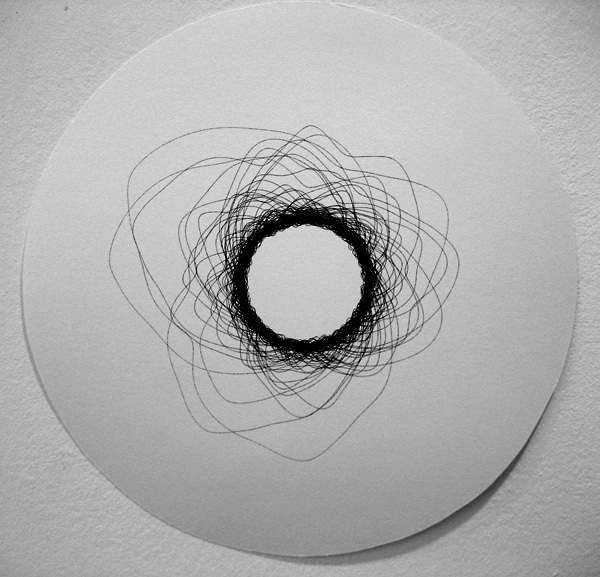 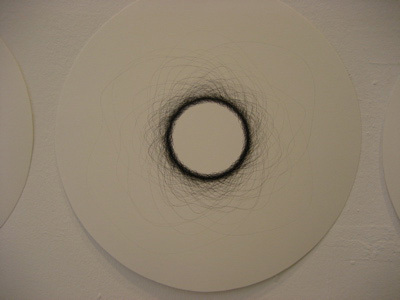 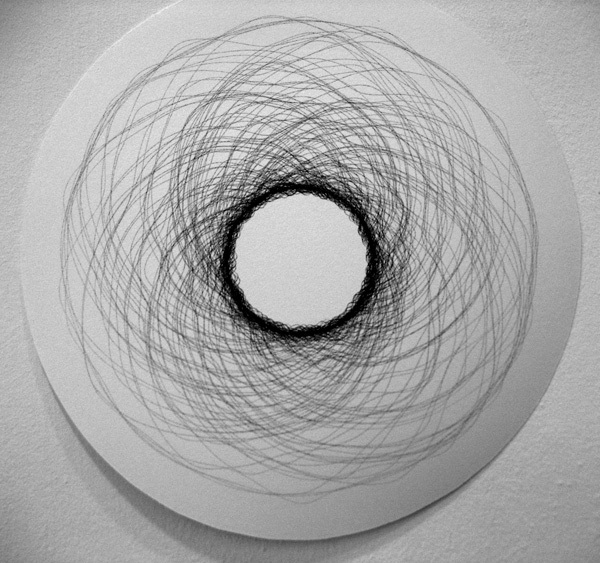 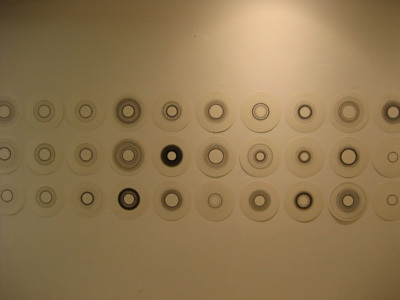 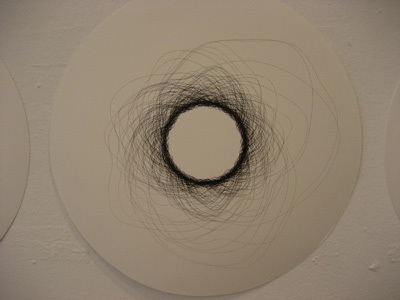 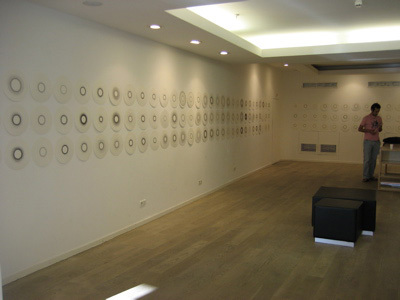 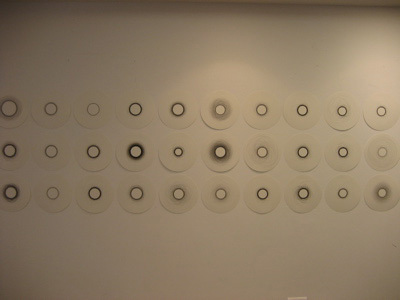 This serie of 150 drawings were made while i was working at my studio in Lisbon, whenever i was working i would just setup the installation for it to draw, depending on what i was doing at the moment, if i was working on sound, quiet soldering or even drilling something that would get reflected in the resultant drawing. 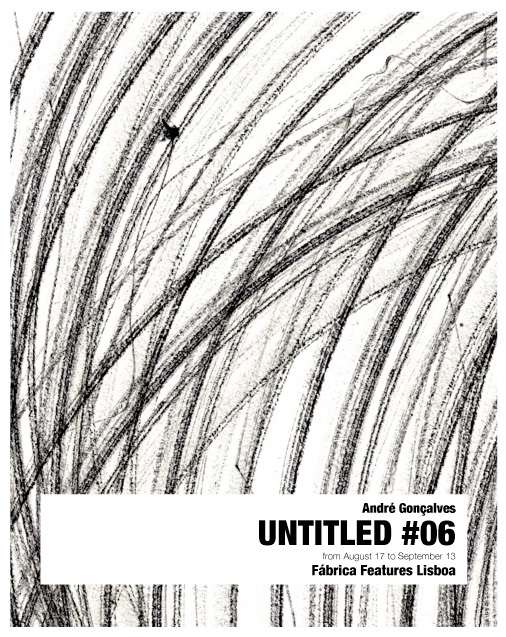 For this serie i had the control to stop a drawing whenever i wanted to, based on my own aesthetic taste, i could also reject and throw away drawings which visual result didn't pleased me. 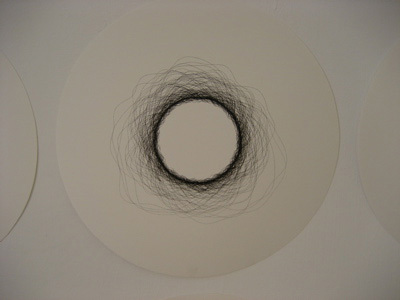 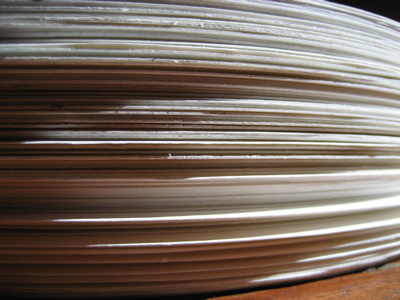 All drawings are unique and were made on 300gm Canson paper using an indian ink pen, also they are signed and dated.